Last week saw the Trump Administration soften its public stance on China. After months of an openly hostile approach, President Trump changed his stance and acquiesced to Chinese President Xi Jinping’s request to honor the prevailing One China Policy that has ruled Sino-American diplomatic relations for the past 40 years. Essentially the foundation of Sino-American diplomatic relations, the One China policy was created in 1979 when the U.S. severed its official diplomatic relationship with the Republic of China, also known as Taiwan, in favor of recognizing the People’s Republic of China and the Chinese Communist Party (CCP) as the government of the territory encompassing Taiwan and China. While the Party insists it is the legitimate government, nations like the United States avoid supporting this declaration by simply acknowledging the CCP’s position. The sudden rapprochement in the previously frosty relations has caught many by surprise. After the demise of the TPP trade deal, political analysts had been focusing on the possibility of a Pacific war between the two nations. This was primarily due to President Trump’s public comments on China prior to his inauguration, and the appointment of Steve Bannon as the White House Chief Strategist and Rex Tillerson as Secretary of State. Both of these men have made comments citing the need to militarily engage China, such as the following made by Tillerson at his confirmation hearing. However, all may not be as it seems. According to Paul Haenle, a veteran U.S. diplomat and director of the Carnegie-Tsinghua Center in Beijing, the Trump administration’s tough talk on China was all part of a hardball strategy Trump’s team implemented to get China to soften up to Trump’s trade demands. Certainly the quick resolution of these tensions on China’s part is surprising. In recent months, sections of the Beijing-run media have been highly critical of the new administration. 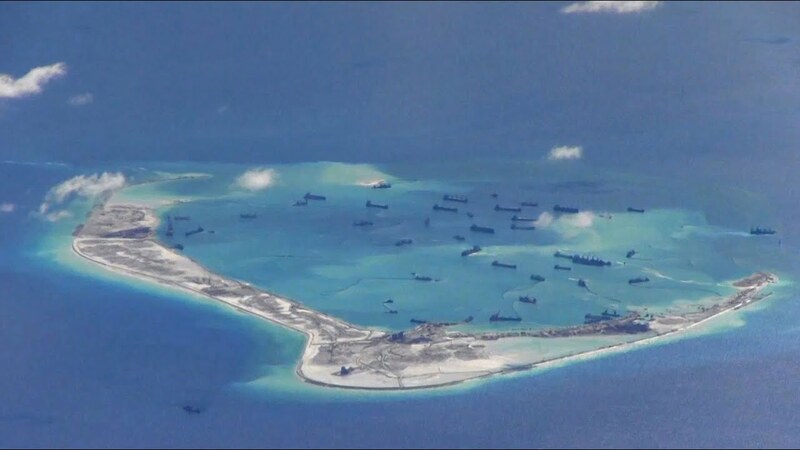 They have lambasted President Trump for his twitter diplomacy, and stated that the U.S. would need to “wage war” to stop the Chinese from accessing their island-building efforts in the disputed South China Sea. Thus, it is questionable as to what caused this sudden change of heart. Although this may have been just a case of keeping face, the pressing domestic problems currently besieging China may point to a different reason. Behind the scenes, the Communist Party is far from stable. The current anti-corruption campaign led by President Xi is ripping apart the elite segments of the ruling Party as he seeks to eliminate former leader Jiang Zemin’s coterie who had tried to oust him. Investigating over a million party faithful, the Anti-Corruption Agency has purged over 200 elite members from government bodies, the military, and state-owned enterprises. Very powerful elites, such as former security czar Zhou Yongkang and retired military vice chairs Guo Boxiong and Xu Caihou, were probed, prosecuted, and imprisoned for life. The fallout from this purge has left the Chinese Communist Party in a state of flux. To avoid further destabilization, President Xi currently needs to focus on keeping his and his supporters’ position secure. A situation that may prove difficult given the current economic outlook for China. Domestically, the Chinese economy is at a crossroads, according to John Minnich from Market Watch. Thanks to the government’s monetary and fiscal stimulus measures, the country’s debt has swelled to almost 250 percent of the nation’s gross domestic product (GDP). Likewise, corporate debt, the largest portion of China’s total debt, has surged by more than 60 percent to make up 165 percent of the GDP. This has created the perfect conditions for a nationwide debt crisis as businesses default and bankruptcies increase, along with falling industrial profits and the declining returns on investment. When combined with the $188 billion of capital that has left the country in the past year, this signals that there is a significant economic readjustment on the horizon. To offset this potentially devastating downturn, China needs capital investment, in particular America’s trade and foreign direct investment (FDI) in China, to continue. This investment is now in doubt thanks to the cancellation of the TPP and the Trump administration’s promise to impose tariffs on all Chinese goods coming into America. President Xi Jinping needs the Sino-American bilateral relations to return to a stable working platform as soon as possible. Without America, Xi could be faced with a destabilized China on the brink of economic and political collapse. A situation that the Soviet Union demonstrated so clearly in the 1990s is clearly the death knell of authoritarian centralized states. Dr. Victoria Kelly-Clark received her doctorate in political science and international relations from the Australian National University. She has lived in Central Asia and specializes in the Middle East, Russia, and its former Soviet territories. For more information, go to Central Asia and Beyond.